That looks so nice Teresa! 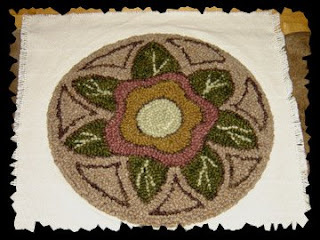 I've found that the easiest way to finish a round rug, is to sew tape on the edges BEFORE I do any hooking. Of course, it's too late for you to do that now, but maybe next time? Good luck with it!